It's time again for a patch! 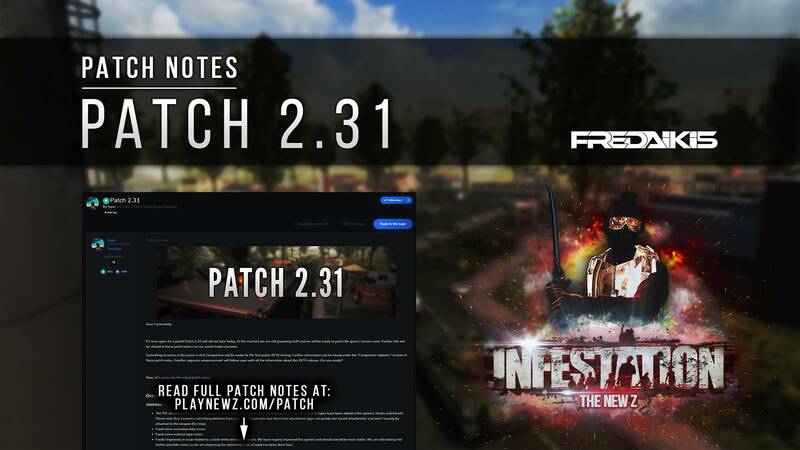 Patch 2.31 will roll out later today. At the moment we are still preparing stuff and we will be ready to patch the game / servers soon. Further info will be shared in these patch notes / on our social media channels. Something to notice in this patch is that Competitive will be ready for the first public BETA testing. Further information can be found under the "Competitive Updates" section of these patch notes. Another separate announcement will follow soon with all the information about this BETA release. Are you ready?! The 'F6' aka attachment menu has gotten a little rework. Icons have been reworked and two new attachment types have been added in the options: Stocks and Barrels. Please note that a barrel is something different than a muzzle. Please note that these two attachment types are purely stat-based attachments and won't visually be attached to the weapon (for now). Fixed some animation data errors. Fixed some material type errors. Fixed / Improved an issue related to a crash while entering a vehicle. We have majorly improved this system and should overall be more stable. We are still looking into further possible issues as we are improving the system but a lot of work has been done here. 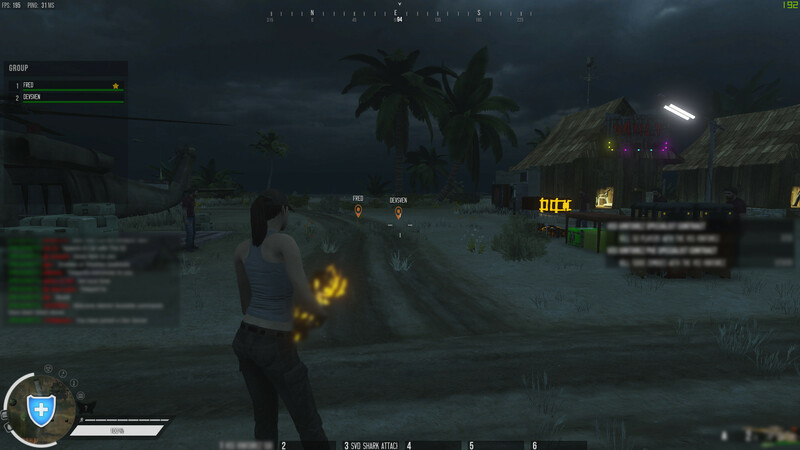 Added a new feature that allows players to ping locations. This can also be done in a group. 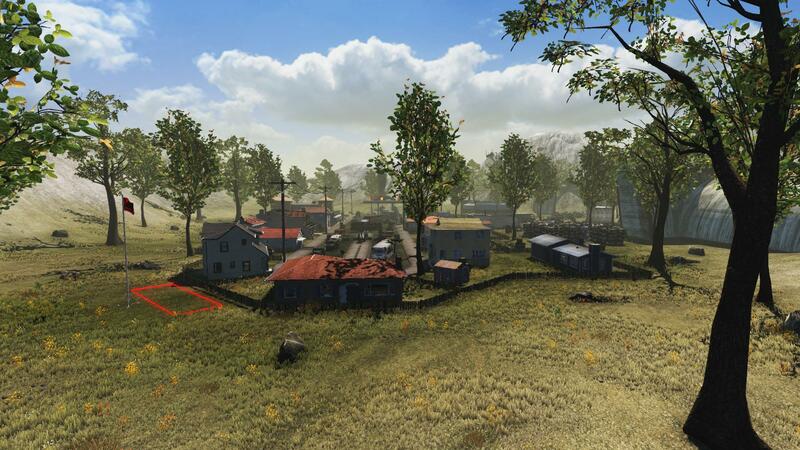 This way players can visually indicate to their team mates what exact location they mean when calling out enemies. Pings can be done for yourself, in a group, or in a clan. However, it will always prioritize the group. Other players wont receive your pings when they are too far away. Default ping button is set on the "mouse wheel click button". 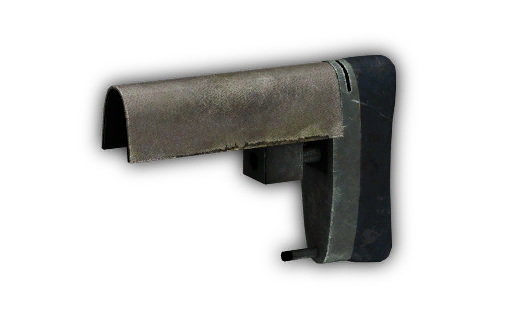 Players who were using this key bind for other things before will have to re-bind this key. Pings only appear for 5 seconds. This is an initial system where we are extensively looking for further feedback. If a lot of players like this system we will continue adding more to it based on the player demand. Further ideas we have are adding custom pings, settings for players to change such as the duration of the pings and more. Please let us know your feedback! The "office" building, known from places such as Clearview, is now opened up. (Preview: https://imgur.com/a/028oJ1J) Also updated LOD1 and LOD2 versions of this model. 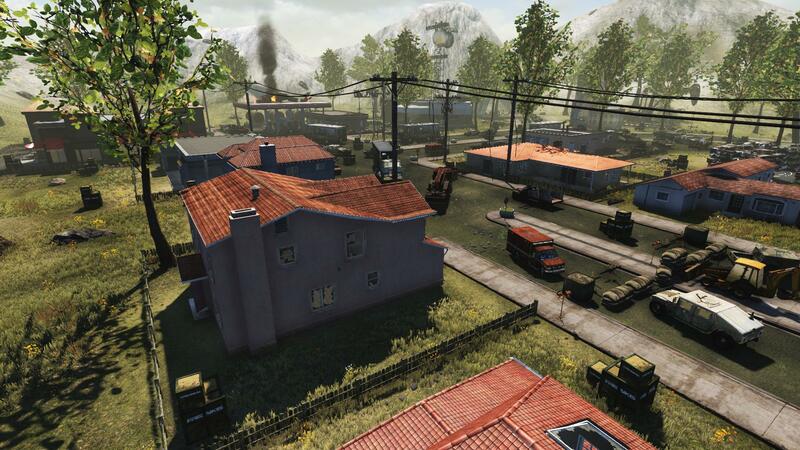 We have received many reports over the past months of how fast-load produces lags and fps issues, so a rework was due! Fast load uses multi threading now: Your FPS will be a lot less affected by objects loading now. New Algorithm: Fast-Load load things around you in a smarter way. Also fast load will no longer cause freezing issues when entering or driving a vehicle. Completely reworked the pine tree models / lods and physics models. The models now all have the same "bark" shape and every player doesn't matter from what distance will now have the same exact tree shape and physics. Fixed some texture issues related to some pine trees and lods where some textures were stretched out sometimes. Fixed an issue related to the SVD Shark Attack skin where, when players attached a different scope, the shark attack skin would dissapear. You can now properly attach scopes to this skin again without the skin disappearing. This was fixed in patch 2.30 but reverted due an error. This is now working properly. Fixed another issue related to the SVD Shark Attack skin where, when changing scopes, some parts of the skin were flying in the air. Fixed an issue related to some weapons where attachment ID's didn't match the weapon. Fixed an issue related to the iron sight of the FN Scar CQC Christmas skin. The mosin can now also have the new sniper stock and barrel attachments attached. Lowered the decay of all shotgun types from 11 to 6(5). Note: Decay is the value of damage distance. When decay distance is reached, a bullet will start to lose damage. Lowered the spread of all shotgun types from 11 to 8(7). Lowered the recoil of all shotgun types from 9 to 7(6). Lowered the damage of the FN FAL from 35 to 32. Added a new stock type attachment for snipers called: "Sniper Stock". This is a new attachment type. More information about this can be found under the "general" part of these patch notes. Added a new stock type attachment for assault rifles called: "AR Stock". This is a new attachment type. More information about this can be found under the "general" part of these patch notes. Added a new barrel type attachment for the snipers called: "Sniper Barrel". This is a new attachment type. More information about this can be found under the "general" part of these patch notes. 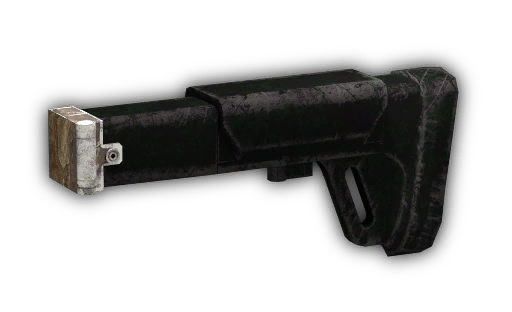 Added a new barrel type attachment for the assault rifles called: "AR Barrel". This is a new attachment type. More information about this can be found under the "general" part of these patch notes. The next part of the patch notes will be divided in per game-mode sections. Everything mentioned above applies to the overall game aka all the game-modes. The crafting system now supports items to be able to be crafted using already skinned items. This is a huge improvement. We weren't able to for example add some backpacks to be able to be crafted since this system was not supported. We will re-look into adding these items in the near future. All placed lockers will be wiped. Don't worry, all items inside will be transferred automatically to your Global Inventory. The reason why we are wiping all these lockers is so the new "place down systems" apply. In a recent patch we have made it so you can't place lockers close to each other, but this never really applied as many of these lockers were already placed. We will now go from a new fresh start, with these systems in place. Note: This will only happen in the Official Survival servers. Private servers are unaffected. 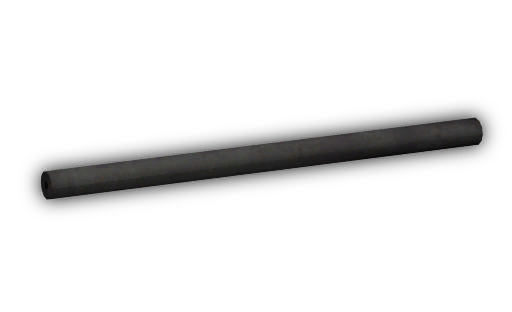 Added the new sniper barrel attachment to the super zombie and alien super zombie loot. Added the new sniper stock attachment to the alien super zombie loot. 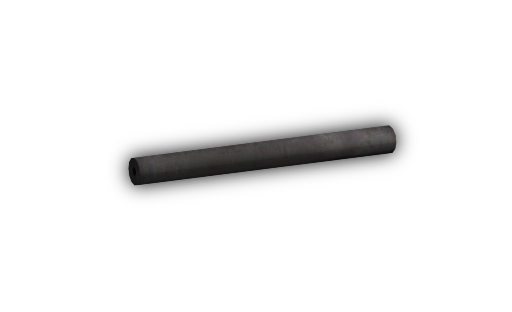 Added the new assault rifle barrel attachment to the military rare loot. Added the new assault rifle stock attachment to the super zombie and alien super zombie loot. Clan territories have been added! Increased the spawn chances of the vehicles with around 30%. The newly opened building now has interiors added. Fixed some terrain issues where players had issues to walk. Fixed some miss-placed vehicles in some military places. Some of them were even flying inside trees! Adjusted / tweaked the road next to the safe zone where players could glitch in. Adjusted / tweaked the terrain settings for potato / low quality settings. Majorly improved the overall terrain quality for players playing on high and ultra. Fixed some player spawns where a players would spawn inside certain objects or trees. Fixed some broken trees around West Oaks and San Pavel. Adjusted / tweaked the render distance of some tree collections. Adjusted the overall render distance of the terrain to improve performance and loading times. Adjusted / tweaked the terrain textures. Should overall look better now. Overall decreased the amount of trees in certain since there was just too many trees . Adjusted the overall render distance of the terrain to bring better performance for the player. Finally! Competitive BETA testing for public will be opened somewhere this week. With the new Village map in place and after a lot of recent testing we are happy with a result that we want to share with you all. A separate announcement will follow somewhere this week where we will share further detailed information and a planning about how we will initialize the BETA release of the new Competitive game-mode. As of how it looks right now the new Competitive game-mode BETA will be playable by particular players somewhere this week. Fixed some animation bugs. Some animations such as reloading and shooting weren't properly stopped when a round ended. This could cause a crash. Fixed a bug that caused players to get kicked by the server. Quick slots are showing again in competitive. 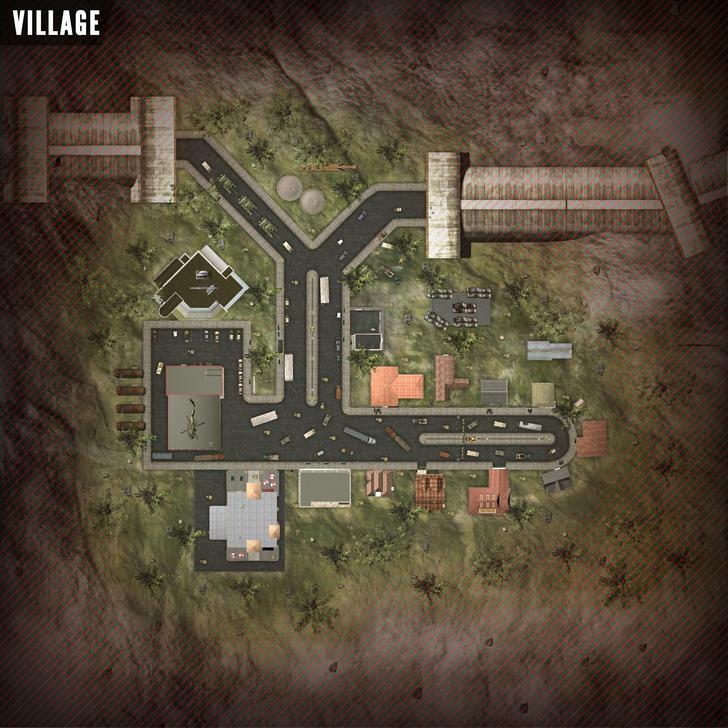 Added the new "Village" map. Fixed some flying fences at the trailer park house. Replaced some vehicles at the contest point B. Added the new open buildings with interior. Added a 30 second cool down to the radiation zones. It will now wait 30 seconds before moving again. Fixed some terrain issues around the big lake. Fixed some flying objects inside the school. Changed the time of the day to have better lighting. Remember this map has a frozen time. Changed / tweaked the position of some rocks. Added some collision walls around the big hangar in the snow area to prevent players from glitching on top. Estimated patch size: around 100 mb. Patch ETA: Somewhere today, 25 March 2019. Estimated downtime: around 1 hour. Servers are currently down for the update. Stay tuned. Servers are starting up. Game should be back soon. I think that a public poll is coming soon regarding this. Understand. I actually added this backpack. This is an item that can be skinned and our crafting system wasn't made to be used with skinned items. Since then I put it on hold and waited for Fred to add this in, which is what he did this patch. 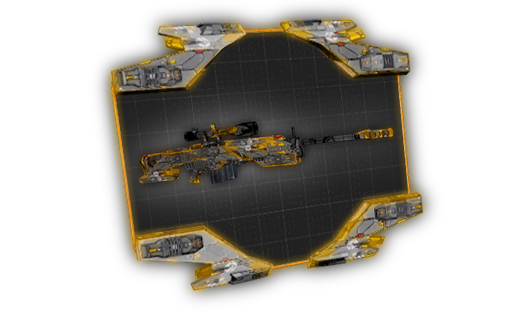 **Correction: TO craft this item a Military backpack is needed, this is an item that can be skinned. is that true for K-Style NVG = K Style + tech + glue? Hello! I have a 970 graphics card, I used to play at high settings with 60 fps, now I have 18-45 fps and creepy friezes.How much video memory do I need to play at high settings now? The game in Ultra uses less 5Gb RAM and less 3Gb VRAM. The game is CPU bound. If you have a 4 cores cpu and 6Gb RAM With 4Gb VRAM you be fine in all maps. The problem with fps is only on the Oregon map, on the average settings the game uses 4080 MB of video memory, because of this and friezes.Yesterday on high settings everything was fine.